IFA 07 French media player maker Archos last week attempted to pip Apple to the post with a compact player designed to handle video as well as music - just as Creative has with its Zen. Archos' 105: watch out, 3G Nano? 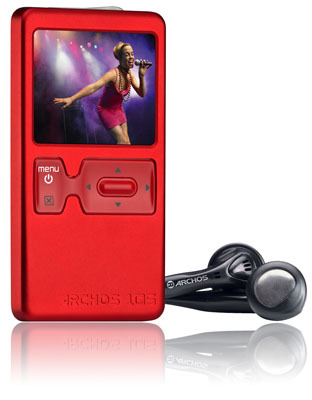 With the announcement of a video-capable iPod Nano imminent, Archos used the IFA show in Berlin to launch and begin selling its Archos 105 player, a 7mm-thick player with 2GB of storage and a 1.8in, 160 x 128, 262,000-colour OLED screen. The gadget playes WMV video only, but it supports a range of audio formats - MP3, WMA, WMA DRM and WAV - and JPEG for photos. 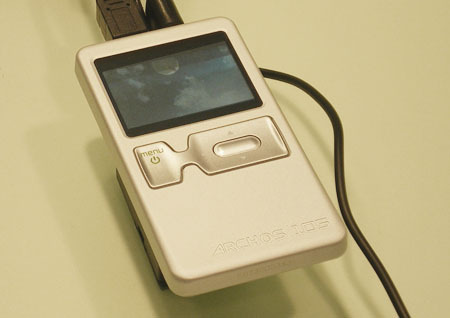 Archos claimed the player's battery will supply juice for up to 18 hours' music playback, but it didn't say how far that figure would fall if you watch video. Available in Europe now, the 105 costs €100 (£68). It will go on sale in the US later in the autumn, Archos said, for $90 (£45).